Second post of the week- we’re spoiling you! Well, it’s been an insane amount of work, but our second book for Macmillan is now finished, which must mean it’s time to update the blog. First things first, here’s the coloured version of Sarah and I. Come back later this week for more new pics! Yes, that’s right, this week! We spoil you don’t we? 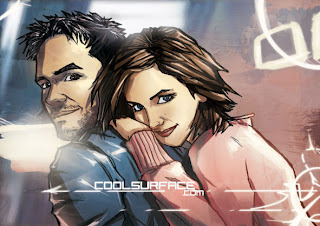 You are currently browsing the Cool Surface Lite blog archives for March, 2008.